We’re baaaaack! 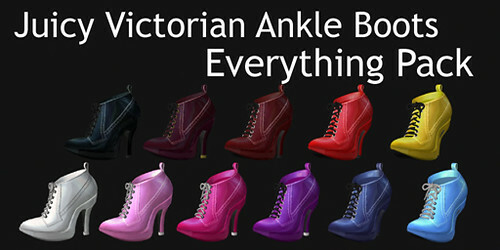 Juicy Shoes is pleased to announce the new Juicy Victorian boots in 11 Juicy colors. 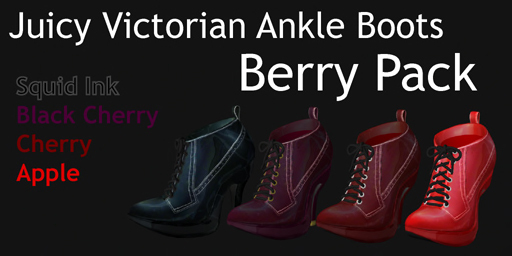 The Everything Pack includes all 11 colors and we also have two smaller color packs: the Berry Pack and Candy Pack. 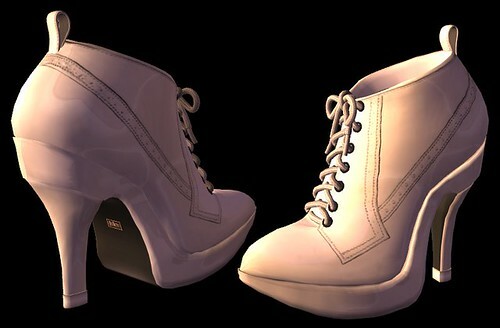 Visit Juicy Shoes and try a free demo! 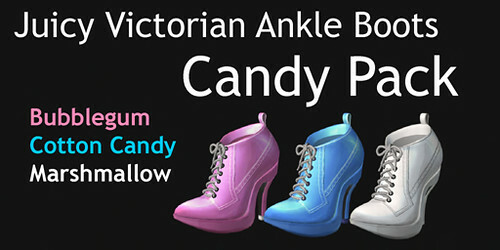 Close-up of the Juicy Victorian Ankle Boots in Marshmallow. *gg* You might want to hit Flickr to bring “baaaaack” your first pic in this post. Whats the outfit in the last picture, gogo?